What do you do with a styrofoam like these? Repurpose a styrofoam to an accessory display like what I did. Just by simply wrapping it with any nice fabric you want and you will have these. Have you repurposed anything lately? Let's hear it! Easy peasy and pretty, right down my alley! How brilliant are you? What a great re-purpose project. Now you can appreciate all your beautiful pieces of jewelry! There are many ways to go about organizing your kitchen accessory. Different methods make more sense depending on your space and what you’re storing. No matter which method you choose, these accessory organizer definitely helps you to reduce the space usage and clutter. 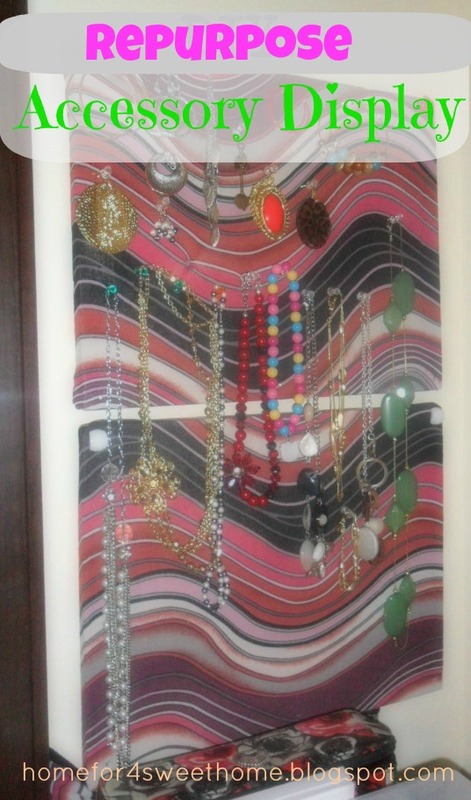 You have some great jewelry storage solutions. I got great ideas I can use for my coat closet. Thanks for sharing. Great post!